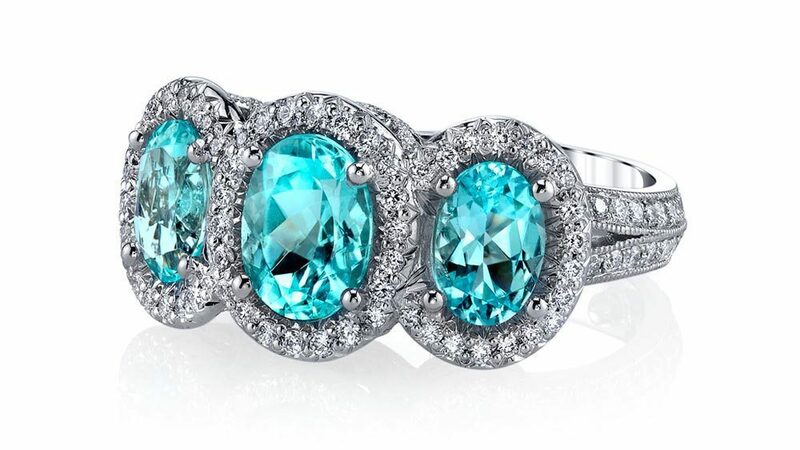 With exceptional and rare color, this paraiba tourmaline centerstone lives up to its hype. 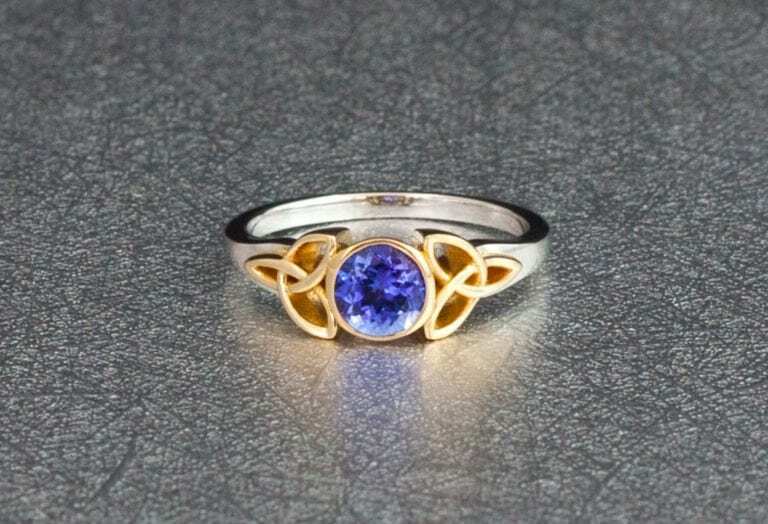 Its high copper content creates a bright blue color with secondary purple hues. When viewed under magnification, the stone’s colors can be intense. This gem originated in the first vein to be mined. Photo courtesy of Shelly Sergent, Somewhere in the Rainbow collection. In reality, there are many gemstones rarer than diamond. However, few people know what those gems are. If you’re looking for something unique for your next jewelry purchase, check out these ten stunning gemstones that you wouldn’t have guessed are rarer than diamonds. 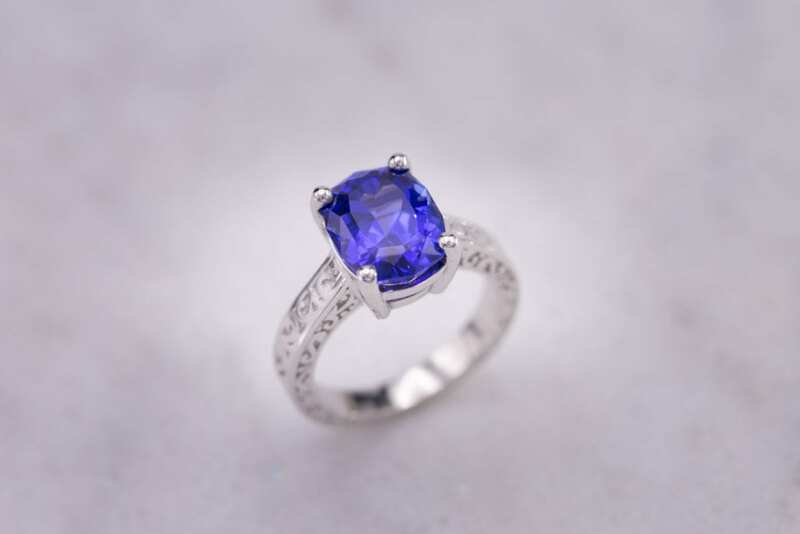 Intense violet-blue hues of tanzanite can rival fine sapphire at a fraction of the price – and it’s a much rarer stone! Occurring only in a small area of Tanzania, this variety of zoisite has become quite prominent. After its discovery in 1967, it quickly rose in popularity, due in part to marketing efforts by Tiffany & Co. This stone shows strong pleochroism, appearing blue, violet, or green-yellow to brown, depending on the viewing angle. 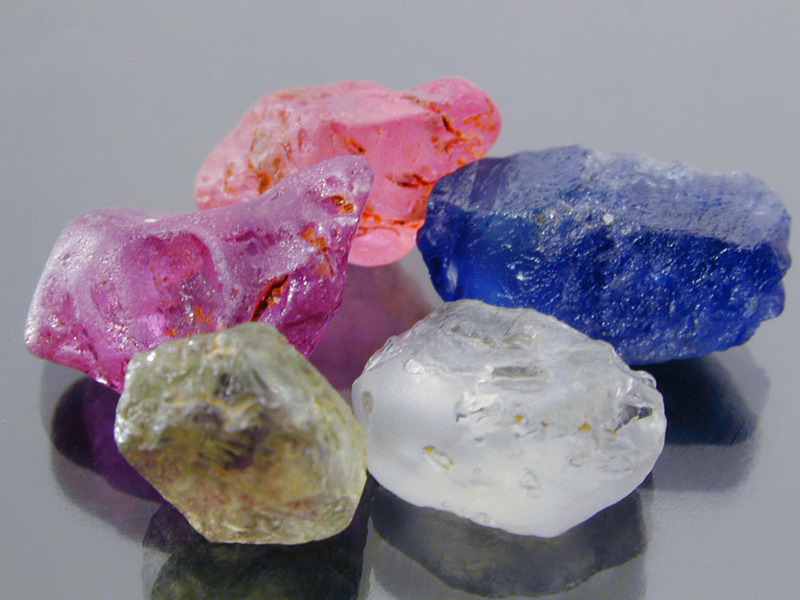 Gem cutters orient these gems to feature blue or violet hues. 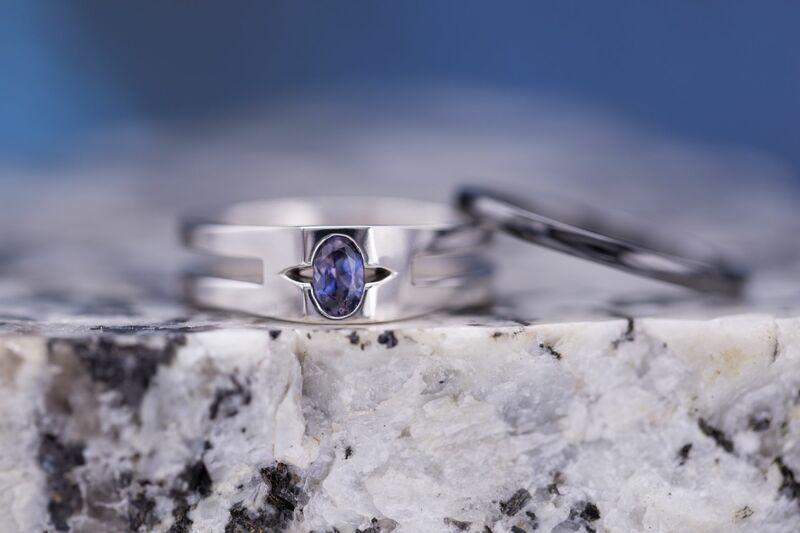 Though almost all tanzanite undergoes heat treatment to produce its attractive blue hues, this treatment produces a stable color that makes this stone so desirable. The deep blue in this 3.9-ct cushion-cut tanzanite rivals that of fine blue sapphire. © CustomMade. Used with permission. 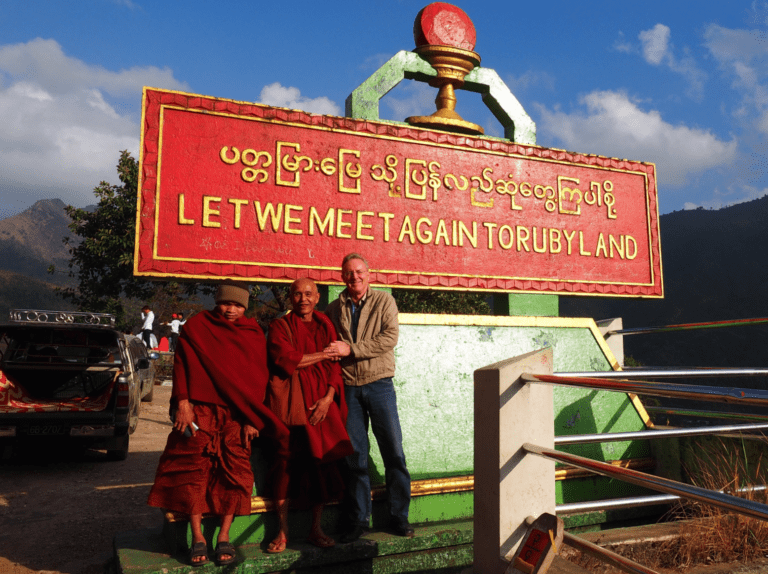 All rubies are rare, but those from Myanmar (formerly Burma) set the standard for quality and color. They are also exceptionally scarce. 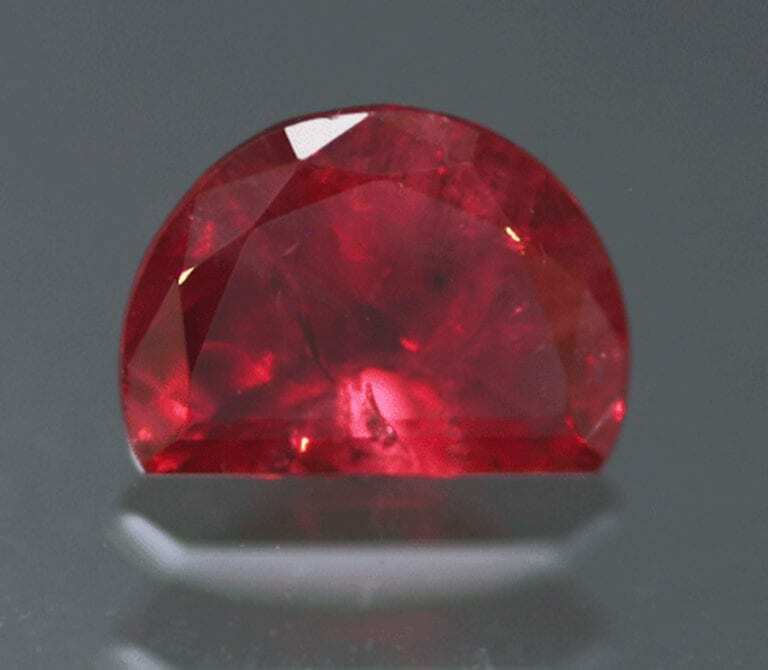 While rubies from Thailand contain relatively high iron content which can result in overly dark reds with brownish or purplish overtones, the geological conditions in Myanmar generally produce rubies with very little trace iron. 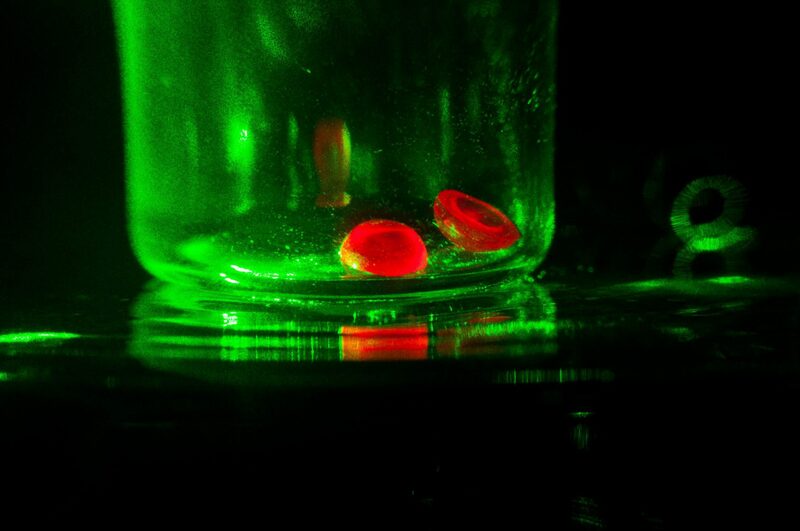 As a result, these gems often achieve more vivid reds with much stronger fluorescence than their Thai counterparts. Still, a top-quality Thai ruby will rival the finest from Myanmar. With fine color nicknamed “pigeon blood,” these red gems are always in demand. Emerald-cut rubies are uncommon, but what makes this 3-ct beauty exceptional is its origin and lack of heat treatment. 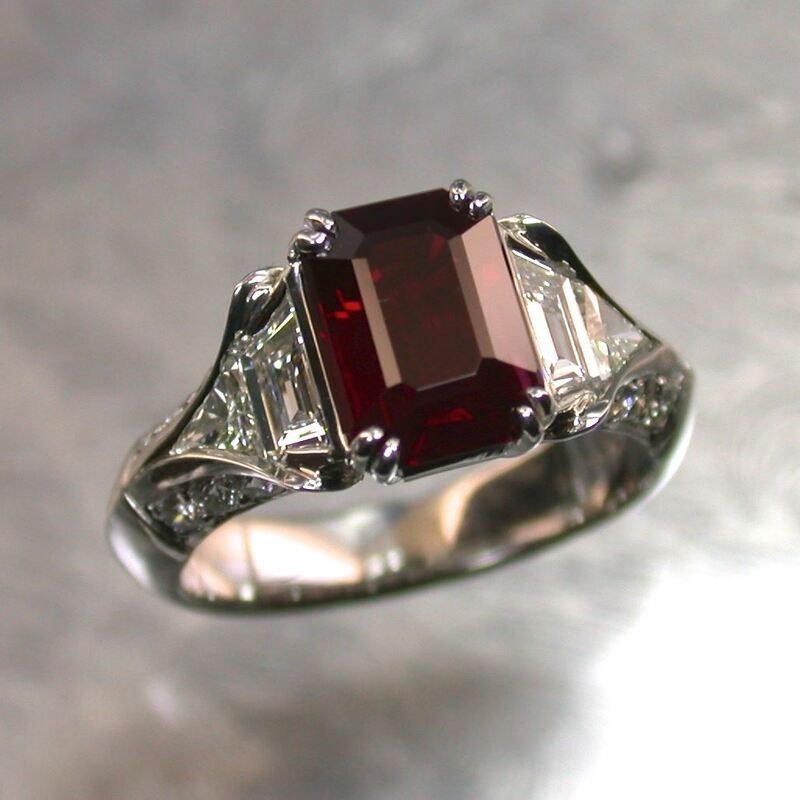 Set in a platinum ring, this Burma ruby’s deep red contrasts with bright diamond accents. © J. Grahl Design. Used with permission. 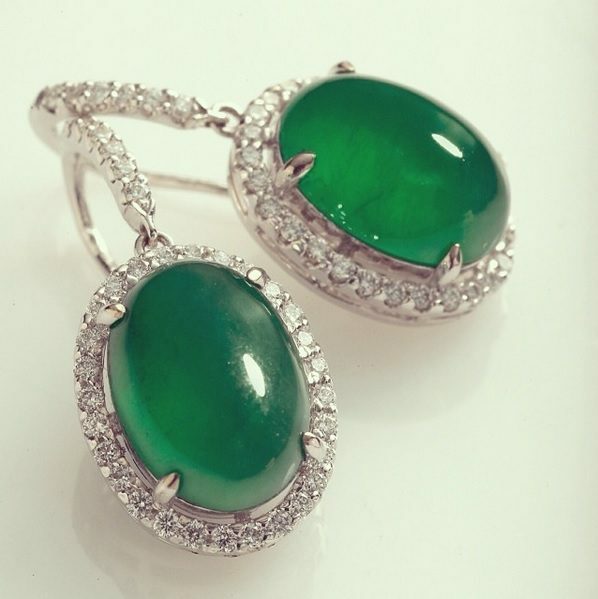 With a magnificent translucence, these jade and diamond earrings simply enthrall. © La Putri. Used with permission. Discovered in 1830 in Russia’s Ural Mountains, alexandrite has remarkable color-changing abilities. 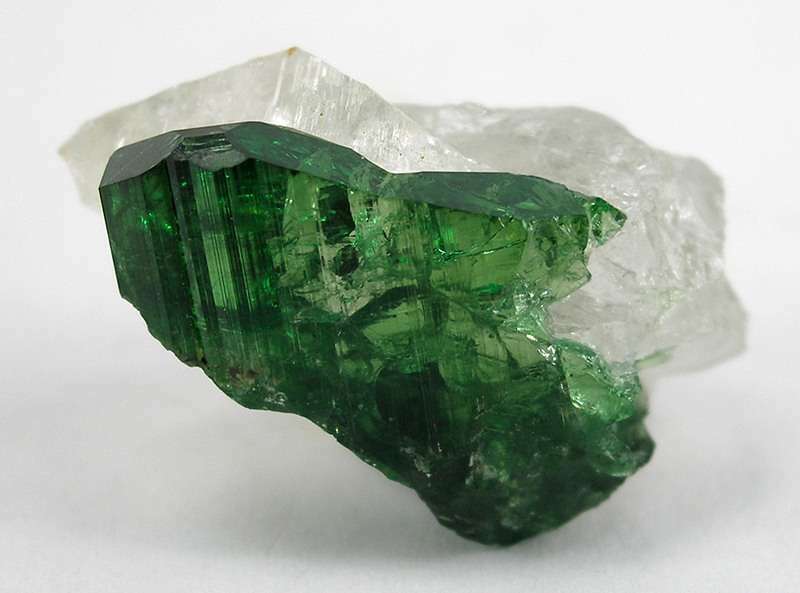 Due to trace amounts of chromium in the crystal structure, this stone appears emerald green to peacock blue in daylight but ruby red to amethyst under incandescent light. At the time, Imperial Russia’s colors – red and green – were in style. Thus, it’s no wonder that the Russian aristocracy coveted this stone. Named after Czar Alexander, this variety of chrysoberyl is still a rare stone. Though the discovery of alexandrite in Brazil and a few other locations has expanded this gem’s availability, it remains among the rarest stones. 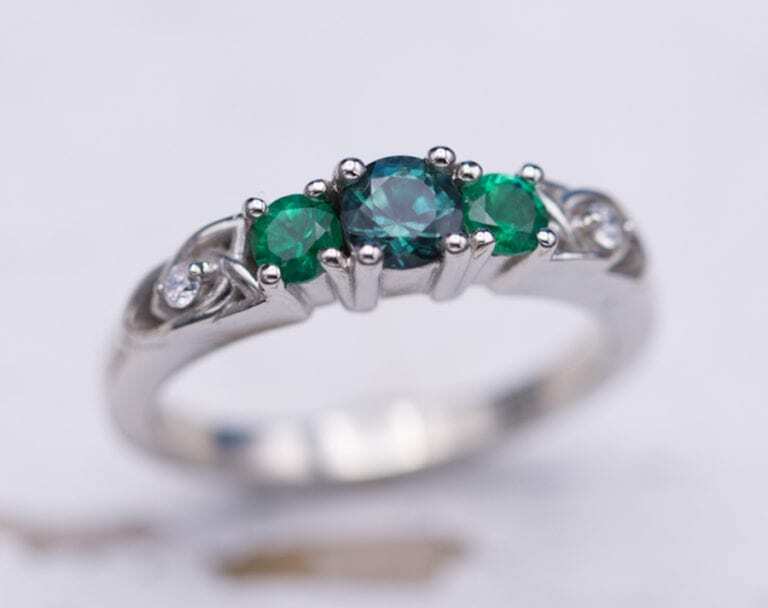 A modern June birthstone, alexandrite remains popular and is often synthesized for jewelry use. 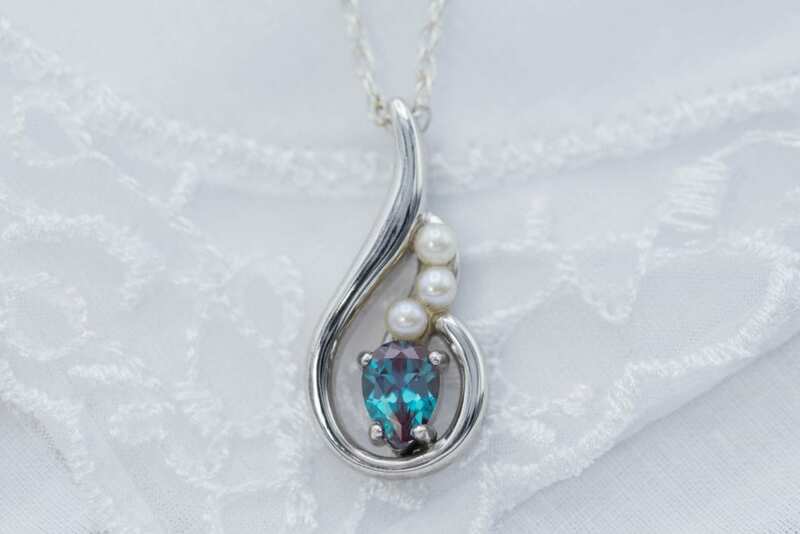 Peacock blue in daylight, this alexandrite shows a crisp, clear color and is paired with pearls for a June birthstone pendant. © CustomMade. Used with permission. The brightly saturated blue-green hues of paraíba tourmaline stunned the gem world in the 1980s. Its discovery in the Brazilian state of Paraíba spurred a rush of prospectors and miners into the area. The per carat price of these gems rose quickly and continues to grow. However, Brazil isn’t the only source of these neon stones. Similar geological conditions produced these copper-bearing gems in Mozambique and Nigeria. Still, this tourmaline variety remains among the rarest gems. These three matching paraíba tourmalines totaling 2.79-ctw are bright and saturated. © Erica Courtney. Used with permission. 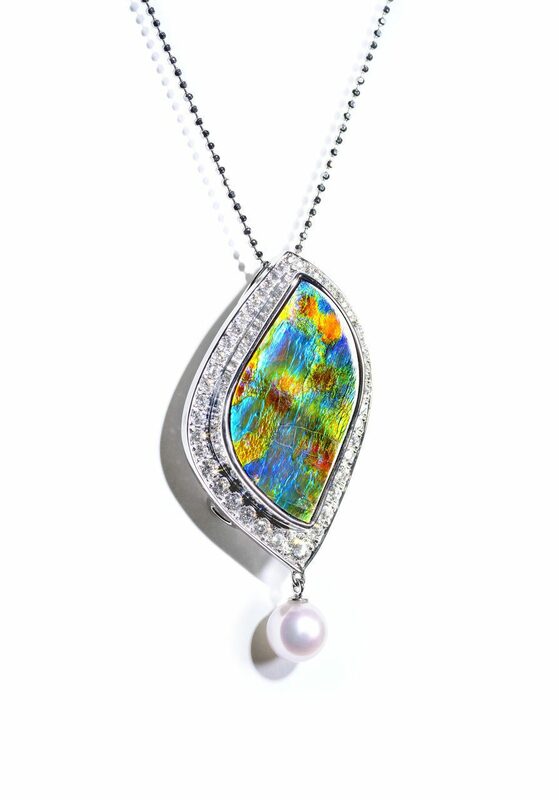 In 1981, the World Jewellery Confederation (CIBJO) declared ammolite a new organic gem. Occurring in limited deposits in the Rocky Mountains, this gem material is much rarer than diamond. 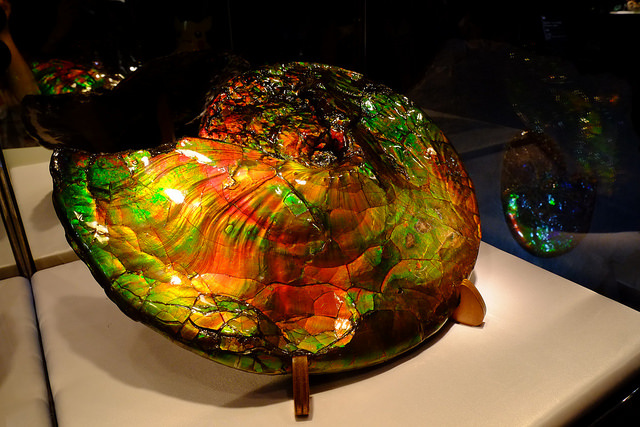 Ammolite is made of the aragonite shells of marine mollusks more than 65 million years old, which display bright, iridescent colors. Any color of the rainbow, or even the entire rainbow, may appear in a single specimen. 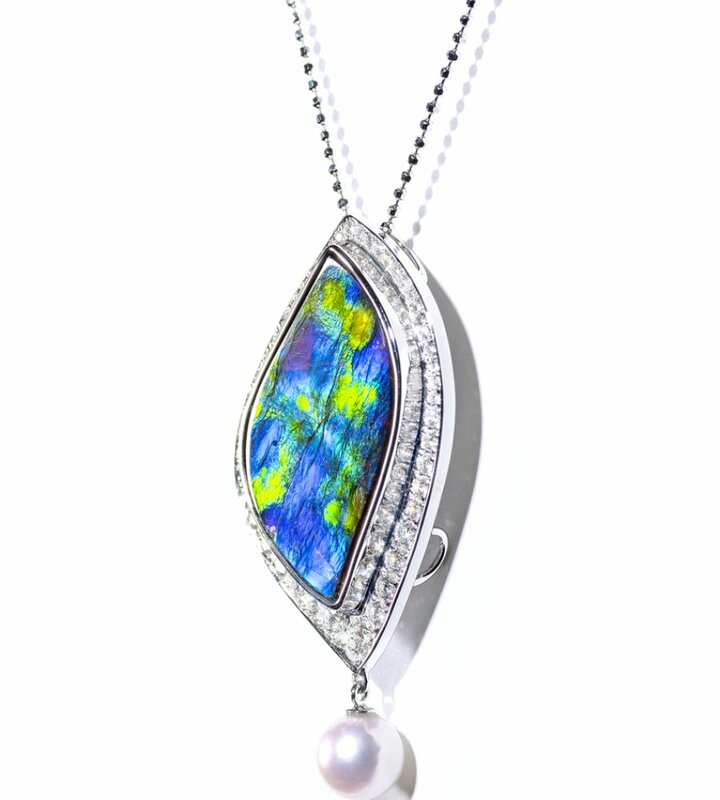 The value of these unique gems increases for rare colors, more intense iridescence and play of color, and how much the stone can be rotated with the color still visible. Today, Korite International mines most of the ammolite on the market. 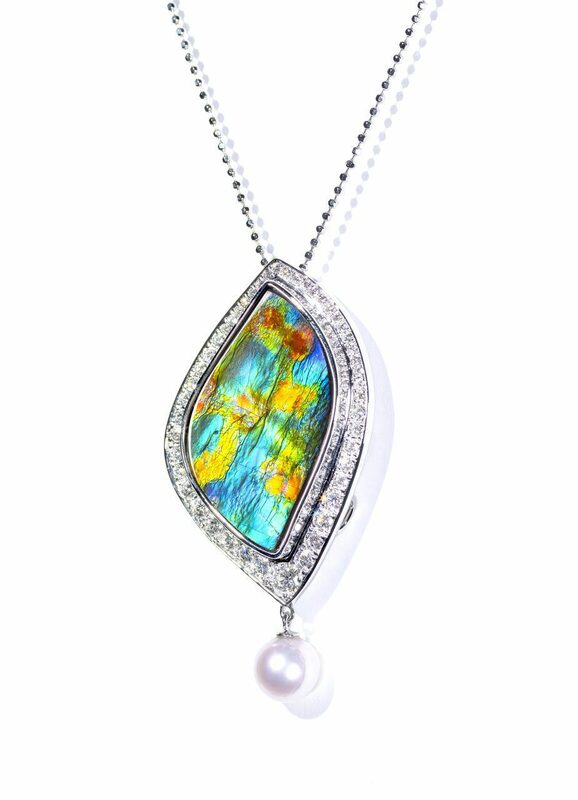 At 4.2 x 2.2 cm, the ammolite in this pendant makes a statement. Watch the mesmerizing color shift as the ammolite rotates in this slide show. 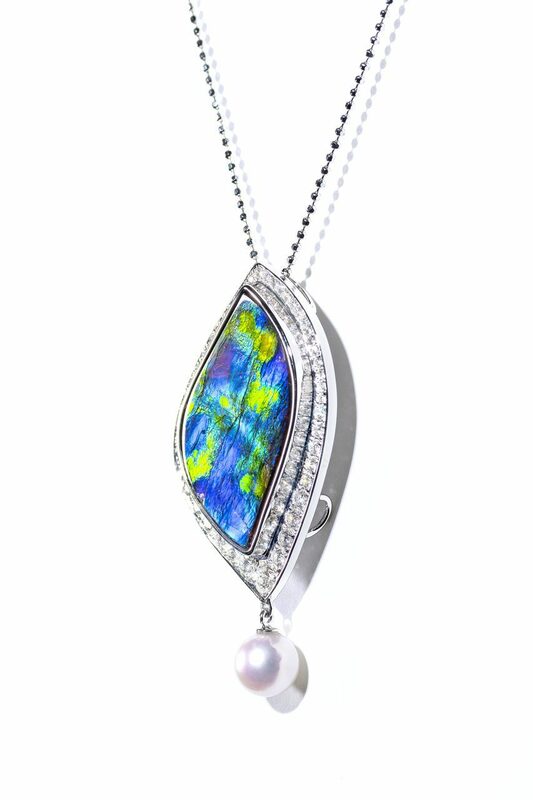 Adorned by diamonds and a 6 mm Akoya pearl, this pendant is a showstopper even without the matching earrings. “Garden of Giverny” © Korite International. Used with permission. Soft, velvety, saturated blue hues characterize Kashmir sapphires. These gems contain very fine inclusions of rutile that create this soft look. The mines that once produced them high in the Himalayas ran dry in the 1930s. As a result, the price of these extremely scarce stones rises ever higher. While few will ever have the privilege of owning one of these gems, museums have many pieces on display. They’re well worth a visit. 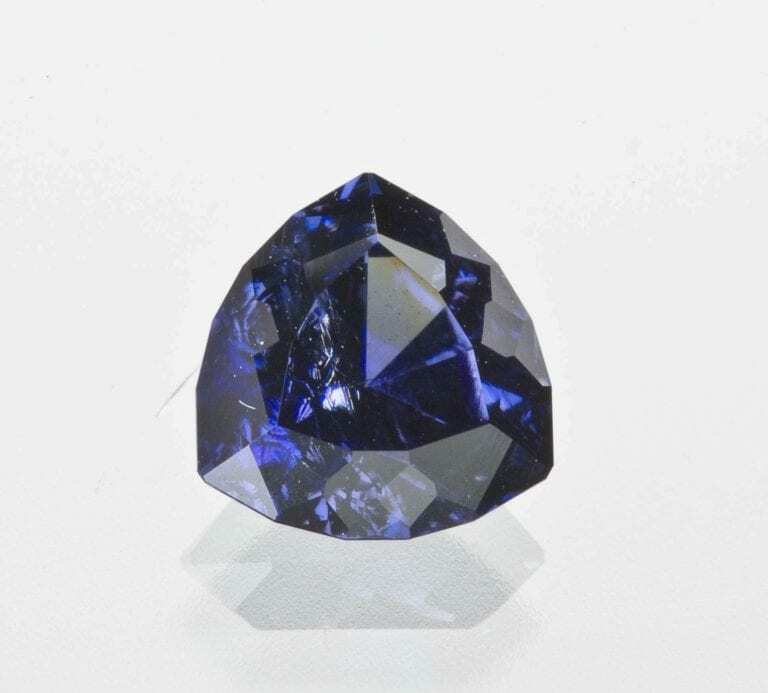 Once thought to be a Sri Lankan sapphire, this Kashmir sapphire traveled the world in Alan Hodgkinson’s pocket as a part of his teaching collection. After it was discovered to be a prized Kashmir, confirmed by two gemological laboratories, it became a part of the Somewhere in the Rainbow collection. 4.49-ct Cushion Cut Kashmir Sapphire, courtesy Shelly Sergent, Somewhere in the Rainbow collection. Pearls are ubiquitous, but without the cultured pearl industry, they would be nearly non-existent. 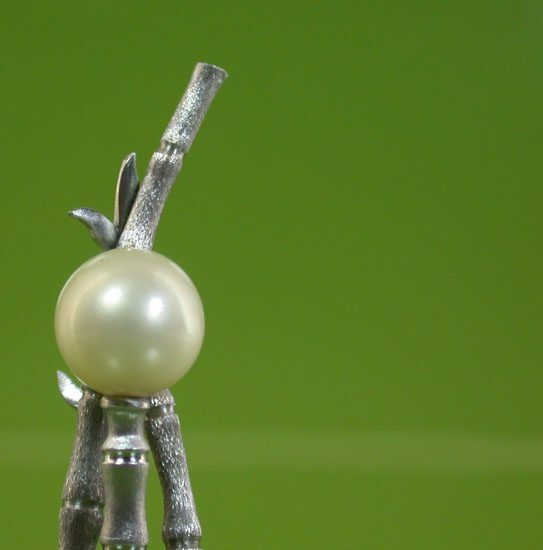 Natural pearls are extremely rare and becoming rarer every year. Due to overfishing, pollution, and ocean acidification, naturally occurring pearls appear more frequently in antique jewelry than in our planet’s oceans. Natural pearls are rarely round and often off-color. 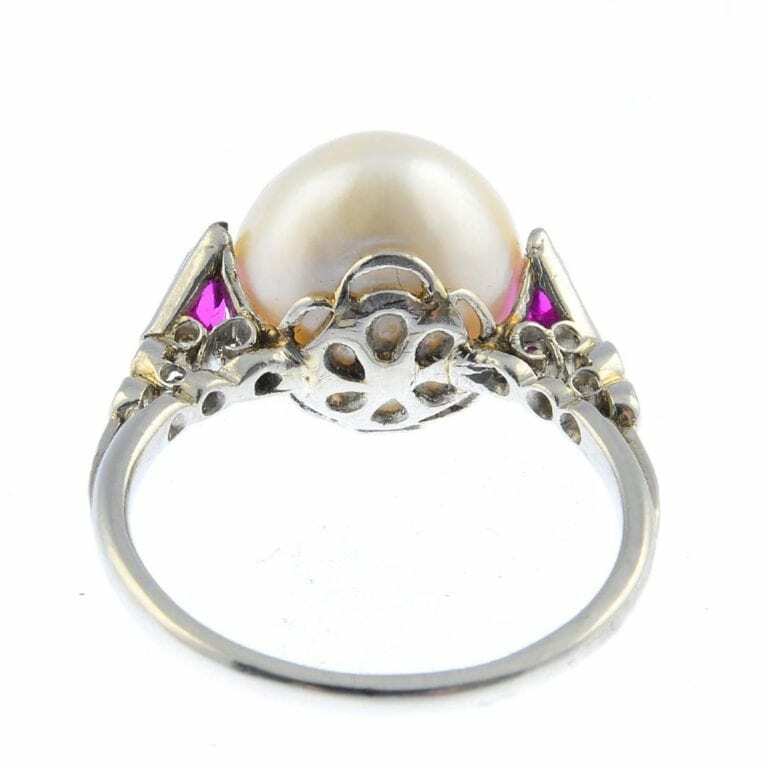 So, while the standard for matching round pearl jewelry is very high in cultured pearls, natural pearl strands will have more imperfections. For a natural pearl, being so round is very unusual. 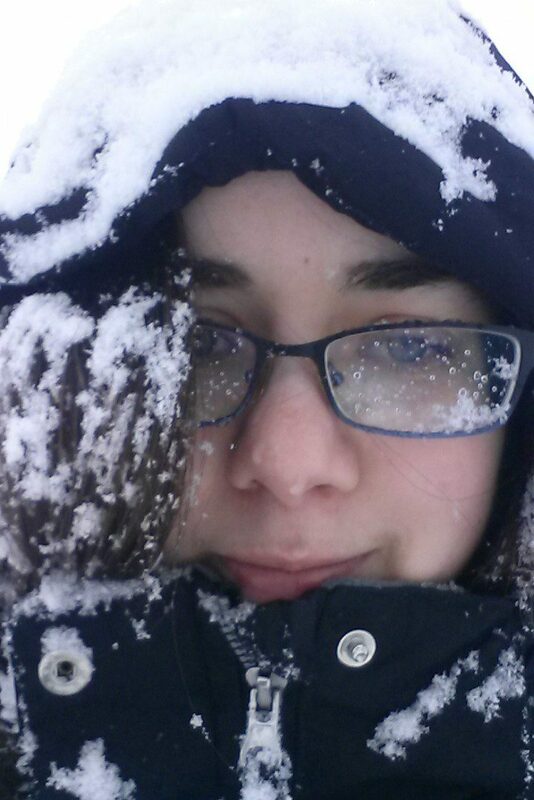 As a result, this specimen is highly prized. © J. Grahl Design. Used with permission. A cousin of emerald, aquamarine, and morganite, the red variety of beryl contains manganese, which imparts a bright red hue. 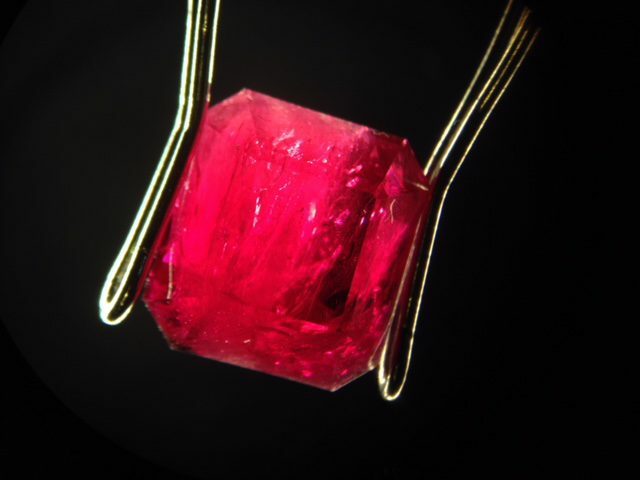 Once called bixbite, red beryl is one of the rarest and most desirable gems. 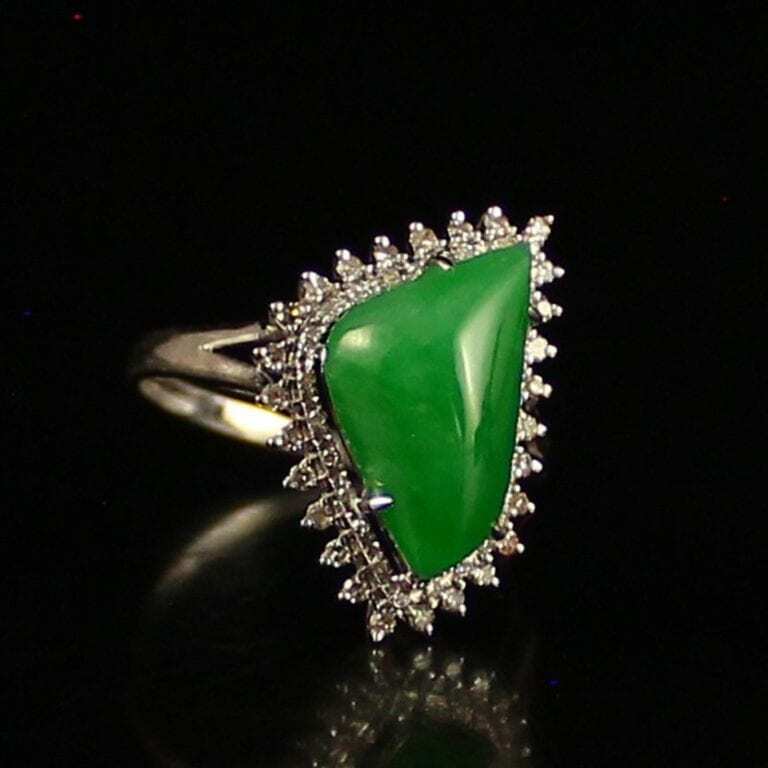 With good wearability, this gem can make an excellent jewelry stone – if you can find one! Gem-quality red beryl occurs only in Utah’s Wah Wah mountains, and most specimens are kept by mineral collectors and never faceted. 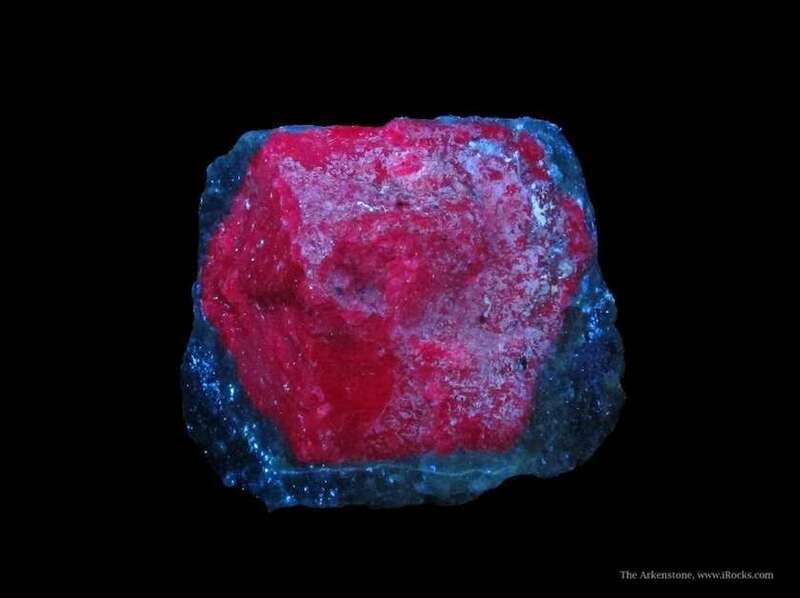 This 4.94-ct red beryl, or bixbite, is the second largest faceted specimen. This bixbite has inclusions of bixbyite – quite a mouthful! From the private collection of Alan Hodgkinson, acquired by Somewhere In The Rainbow. Photo credit Sean Milliner. Photo courtesy of Shelly Sergent, Somewhere in the Rainbow Collection. This rare stone exceeds diamond’s rarity as well as its “fire” or dispersion. 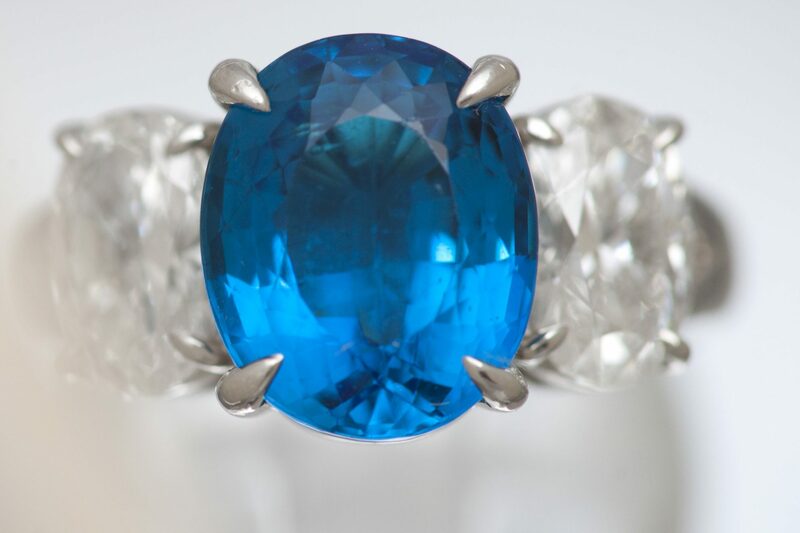 Combined with its often sapphire-blue color, it’s no wonder this is a highly sought rare gem. Gem-quality benitoite occurs only in San Benito County, California (and thus a natural choice for the California state gem). When choosing a benitoite gem, consumers must decide between a dark and saturated sapphire blue with somewhat less visible dispersion or a gem with lighter tone but sparkling fire. 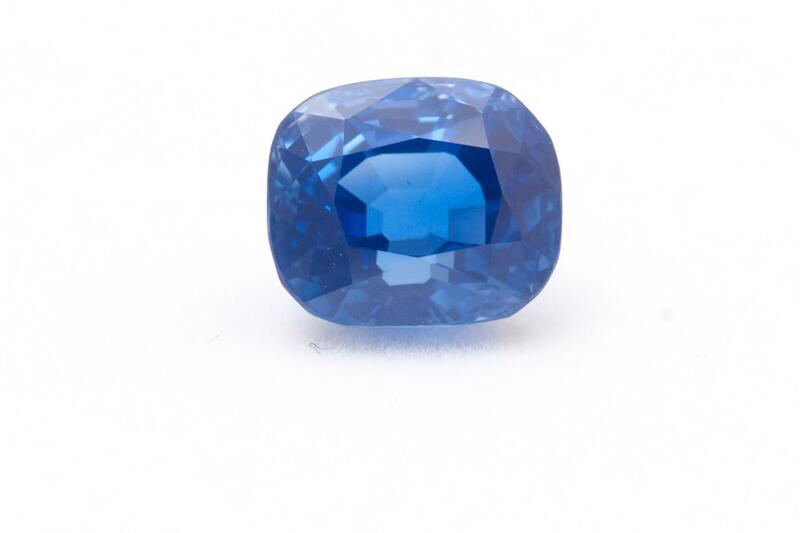 This uniquely Californian gem has a more saturated color than most blue diamonds, and more fire! Set in white gold with a zirconium band that slots into the ring. © CustomMade. Used with permission. Looking for more gemstones rarer than diamond? Check out our information on black opal, padparadscha sapphire, Russian demantoid, oregon sunstone, and moldavite! Paraíba is an elbaite tourmaline that is colored by copper.